What happens when students refuse to be tested? When NCLB was replaced by the Every Student Succeeds Act (ESSA) in December of 2015, the new law gave states some leeway in how students were assessed and how assessment would factor into school accountability. However, school accountability is still tied to academic achievement, and most states still have systems in place that measure academic success on summative standardized exams. Around the country, parents who object to standardized testing are publicly discussing the idea of “opting out,” either by keeping their children at home on test dates or by permitting them to abstain from testing. These parents have the right to express their opinions, of course. For example, they might file a grievance at the local level, or even better, express their points of view to state and federal lawmakers who have the power to change testing requirements. The consequences of opting out of a standardized exam vary based on state laws and state education agency rules. School officials are tasked with the application of state rules on opting out, but engaging parents in a more personal dialogue can be an effective compliance tool. The questions and answers below give an overview of the practice of opting out. Which states have standardized testing? Every state currently has some form of standardized testing. To meet federal requirements under ESSA, states must measure academic achievement in reading/language arts, math, and science. Many states have additional testing requirements. For example, Texas requires assessment in social studies in eighth grade and in U.S. history in high school. In addition, some students may be selected randomly to take the National Assessment of Educational Progress (NAEP) for purposes of providing a representative sample for measuring academic progress between states. States and school districts that receive Title I funds are required to participate in the NAEP; however, the test is voluntary for students and does not produce individual student scores. Contrary to statements on some anti-testing websites, ESSA does not include a federal right to opt out of standardized assessments. These websites are likely referring to a provision in ESSA that requires districts to provide information to parents regarding the assessment, which may include, “where applicable,” the district’s opt-out policy. Because an opt-out policy is not applicable in states and districts that do not allow for opting out, those districts do not need to provide parents with information on a policy that does not exist. In other words, state policy determines whether parents can truly opt out of standardized testing. The federal law does not create any additional opt-out rights. Most states do not provide a mechanism for opting out, either because the law is silent on the matter or because state law or agency rules explicitly prohibit opting out. 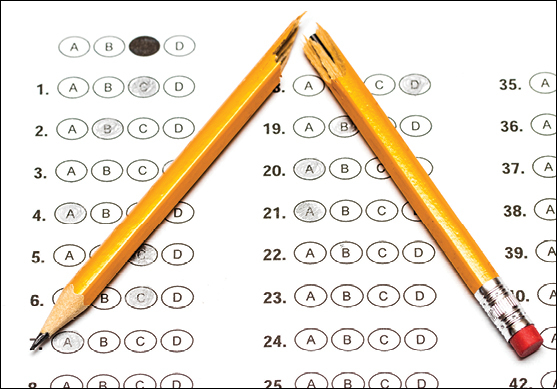 According to a 2015 Policy Update issued by the National Association of State Boards of Education (NASBE), 34 states and Washington, D.C., do not permit opting out of standardized testing. Eleven states allow for some form of opting out or refusal of standardized testing, which may or may not exempt students from the consequences of nonparticipation. Four states leave opt-out policy decisions to school districts. Pennsylvania allows students to opt out of state exams for religious reasons only. Even if a state or district officially prohibits a student from opting out of a standardized exam, some parents will continue to opt out in an unofficial manner, either by keeping their child home on the day of the exam or having the child refuse to answer questions on an exam. The consequences of such choices vary by state law and agency rule. Some of the states with explicit opt-out rights do not allow districts to penalize students for missing standardized exams. On the other end of the spectrum, some states require passing the state exam for a student to be promoted to the next grade level or to graduate from high school. Often these tests are referred to as “high stakes,” although some states have a mechanism for graduation or promotion that avoids retention consequences when the student has otherwise earned graduation or promotion. When a student misses an exam due to an absence, most states have systems in place to allow for a testing period and retakes of the assessment. In some states, missing an exam or an entire exam window may trigger mandatory truancy law enforcement. Some parents may try to avoid truancy law enforcement by withdrawing a child from the school. Even if the school district suspects that the parent is likely to reenroll, the district may not refuse to allow the withdrawal of the child. What if a teacher refuses to administer a test? Look to the employment law in your state. Although teachers might argue they are expressing themselves through protest, administering a state-mandated test is not a free speech issue. It is part of their job responsibilities. Teachers can face consequences for acts and statements made pursuant to their official duties. From at-will states to states with strict contract laws, districts can act on employees refusing to follow directives and state law. ESSA was passed, in part, to address the bipartisan consensus that federal accountability under NCLB overly emphasized standardized assessment. Although ESSA allows for more flexibility in assessment, states must still measure most students to provide accurate accountability. Districts and campuses are tasked with working with parents to relieve the tension of standardized assessment while providing full and accurate accountability. Although pressuring a parent is usually unproductive, the school may be able to open communication to address parental concerns. Stress-related concerns can sometimes be addressed by allowable accommodations, working with a counselor, or training teachers to provide stress reduction in the classroom. Ideally, districts and parents can partner to address concerns. Jasmine Wightman (jasmine.wightman@tasb.org) a staff attorney at the Texas Association of School Boards in Austin, Texas.